Americans celebrate Thanksgiving every November. It’s a time when families gather, friends reconnect and communities come together. On Thanksgiving you announce what you are thankful for in life. 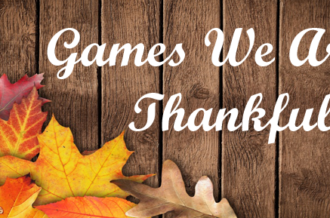 Some of those might be particular video games, so several of the members of our staff decided to let everyone know exactly which games they are thankful for. It is comprised of releases from 2017 and made up of a variety of reasons. Read on to see the titles everyone decided were meaningful enough to make the list! While I may not be compatible when it comes to the North American ways of giving thanks, it won’t stop a British man like myself showing a similar degree of festive appreciation for a game like Linelight. The nimble, minimalist line-puzzler by one-man studio My Dog Zorro — which wriggled and wormed its way onto PC and right into my heart — was a comforting reminder that there are still those smaller releases that can be as impressively captivating as any large-scale title. 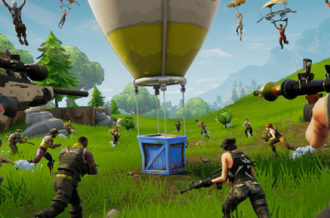 I’m thankful for its fluidity, its spry and upbeat soundtrack, its show-don’t-tell approach to teaching players its mechanics. 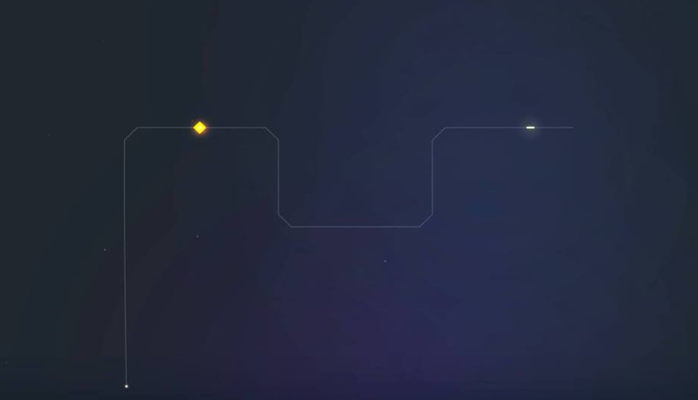 But above all else, I’m thankful for the very fact that Linelight tells a very effective tale of a lonely little white line making its way to the end goal…without having to invest in anything narrative-focused, bizarrely enough. It’s a story without words and a tale without structure, but if I’m thankful for one game this year, I credit Linelight as a game that’s given curious Steam-browsing a much more feasible and worthwhile endeavor. I’m thankful for NieR: Automata. NieR was a game that flew under a lot of people’s radar, mine included, until a couple years after its release. NieR: Automata maintained the elements of being bleak, bizarre and beautiful but with higher production values and once again brought us a unique Yoko Taro gaming experience and another game soundtrack to add to my collection. What I’m most thankful for about this is seeing the commercial success and critical acclaim this title achieved. 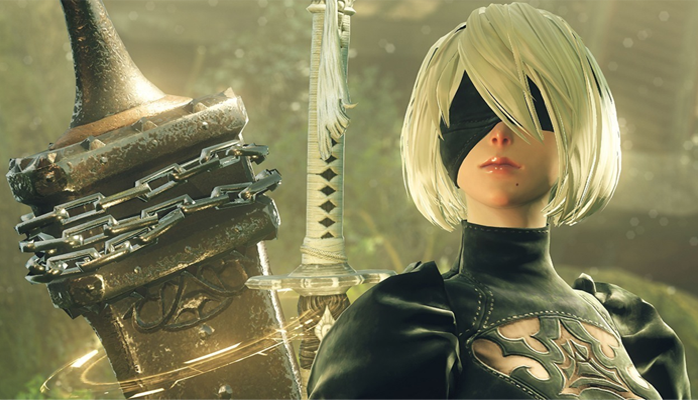 While the original NieR will always be special to its cult following and the sequel’s success won’t take that away, it makes me happy to know that so many other people are getting to experience this creation. My entire life in gaming has involved The Legend of Zelda in one form or another. While I didn’t start out with it on the NES, I did begin my journey as the Hero of Time in Link’s Awakening, which dates back a long way. This is why I’m so thankful for the release of The Legend of Zelda: Breath of the Wild. The game brought an entirely new sense of wonder to me. Not only did it rekindle the joy I’ve had for past Zelda games, but made me appreciate the present and how far it’s come. From grey scale 8-bit graphics to an entirely almost limitless open world shows how much depth have been put into the series as a whole. There are ties to previous games and fun gameplay to keep me busy for hours. Then, I anticipate what the future brings. 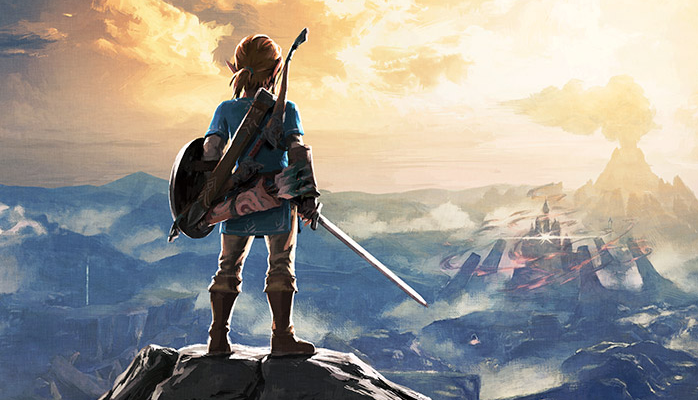 Breath of the Wild is the greatest feat the franchise has achieved and will be hard to top. Thank you to Nintendo and Breath of the Wild for allowing such joy with a series I’ve been playing for decades. 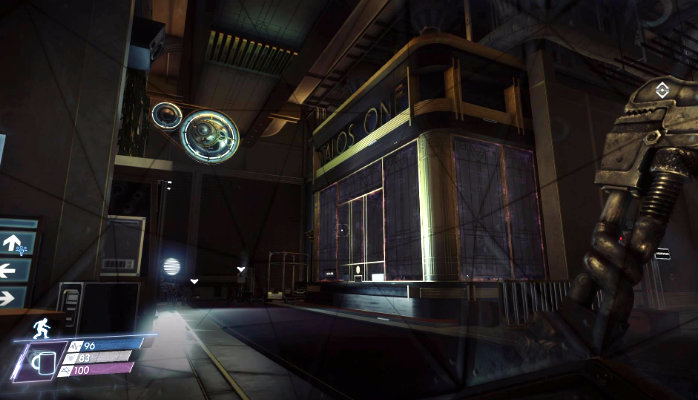 Of all the games I’ve had the pleasure of playing this year, I suppose I’d have to say I’m most thankful for Prey. Before it came out, I was feeling a bit burned out on gaming overall and was looking for a reason to continue playing them on regular basis. Prey gave me that reason. I tried the demo on a whim and instantly found myself enthralled by it. I loved its creepiness, its mystery and especially its resemblance to other games I loved like BioShock and Deus Ex: Human Revolution. More than that though, it was the first game in a long while that all my friends were excited for too. We eagerly discussed it as its release approached and we kept in constant contact as we all did our own playthroughs, trading map knowledge and swapping stories of cool encounters or combat feats. I can’t remember the last time I’d experienced anything like that with a game. Regardless, I rediscovered my gaming zeal in Prey and am thus here to talk about it now. Thanks Prey! I’m thankful for Final Fantasy XII: The Zodiac Age. 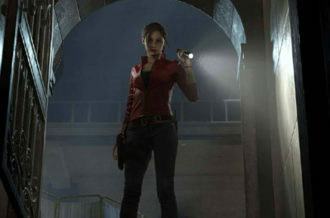 This reworking of a decade old game is exactly what I needed to reshape what I thought of the original release. Allowing each of the six characters to tackle two different classes feels much more structured than the original license board, letting Bosch to be a true knight, or Fran a perfect black mage. Though the story isn’t focused on the characters and their interrelationships, it’s a sweeping drama that’s about an entire world entangled in war and politics. Without The Zodiac Age, I would still consider the original version to one of the weakest Final Fantasy games, but now I see the light that was there all along. 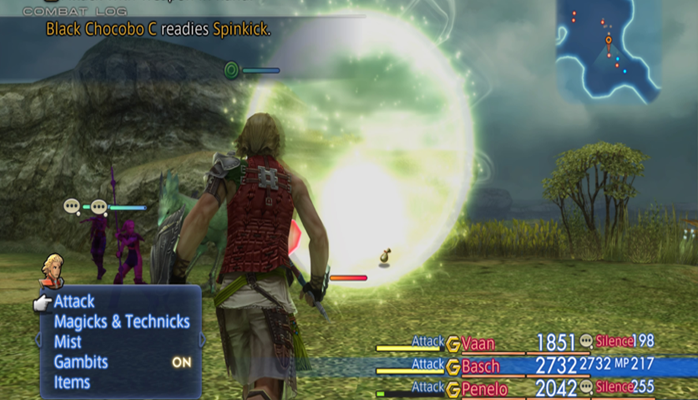 I’m thankful for the chance to play through Final Fantasy XII again – it’s more beautiful than ever before, and now I rank it much higher than I used to within the series. 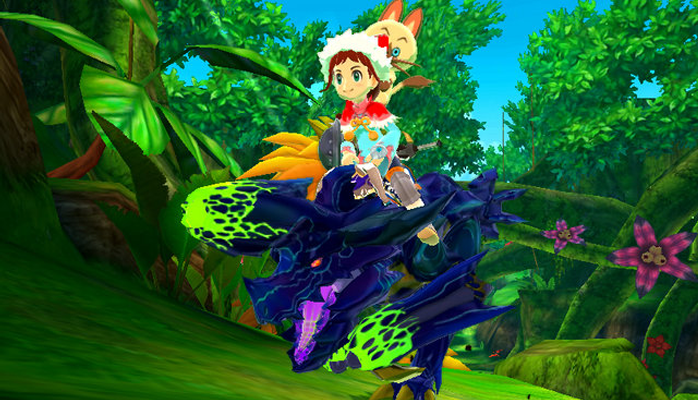 There have almost been too many games I enjoyed that came out this year, but Monster Hunter Stories was the only one to bring back the truly nostalgic wonder for me. While its story was simple, it brought back that pure, innocent feeling of embarking on an old school RPG for the first time but in a beautiful environment that frankly had no right looking as great as it does on 3DS. Add with that a strong emphasis on friendship and bonding with the monsters you hatch and the result is an overwhelming magical experience that even made me tear up a little. 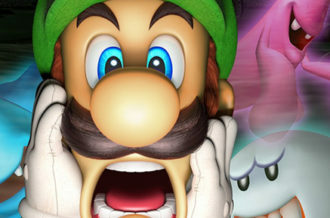 I’ve never been so dang happy with such a strange spin-off, but it has left such a strong impression that I imagine years down the line I’ll still be starting new games just to go through everything all over again. 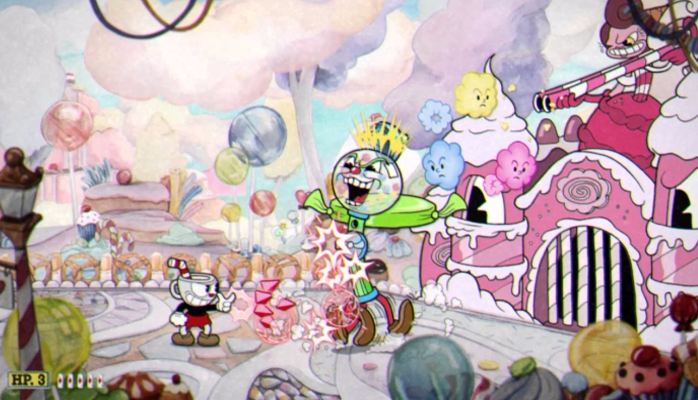 There was a lot to be thankful for this year when it came to video games, but I suppose it comes back to Cuphead for me. 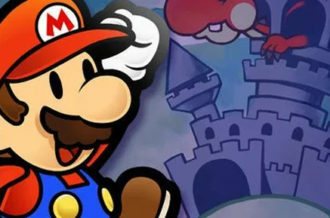 There are indeed a ton of reasons to be thankful for it, be it sparking a resurgence of interest in classic animation, showcasing unique approach to platforming and boss/character design, or even just that one particular ode to Gunstar Heroes (and the secondary ode within it) that made me squeal with glee upon first seeing it. But if anything, I’m just thankful for the game’s massive success and its fandom. Yes, the fandom, toxic as parts of it may be. I’m one to constantly promote new IPs as they come, and not just for “hipster” cred or such, but rather because I simply believe that every generation needs new icons, faces, and successes alongside the tried and true (in all forms of media, really) in order to define them. 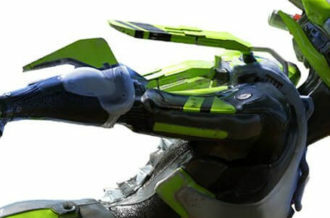 And while a sentient beverage holder styled after Fleischer-era cartoons may seem like an odd choice as one of the faces of this generation of gaming, the fact that I see loads of talented people crafting impressive odes to one of the most dazzling and genius run-and-gun games in recent memory, supporting a small team that mortgaged their house their make their dream a reality and leading to a little indie game going platinum in just two weeks…well, it’s hard not to feel like there’s still a glimmer of faith in humanity when you have a success story like this. This is a game that almost didn’t exist and the odds of it never happening were distressingly high. The original plan was that TxK would release on Vita first, followed by other consoles later, but then lawyers got involved and the project got shelved. 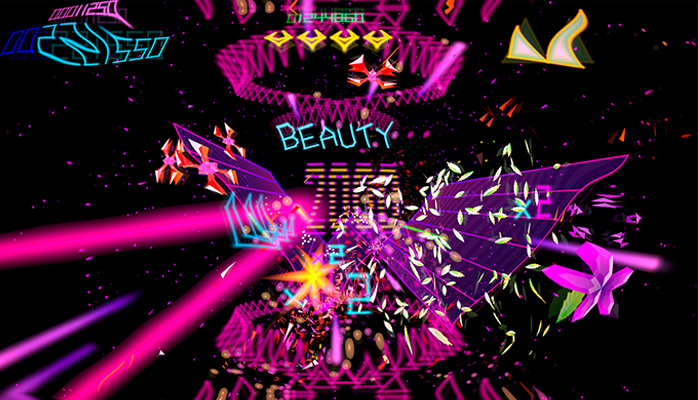 TxK was too close to Tempest, and while it’s easy to hate on the company bearing the name of Atari… um… anyway, it got canned because lawyers are expensive, but Llamasoft still finished up the various TxK versions, complete with VR support, just in case. Then the game was tucked away on a hard drive while various attempts were made to get past the lawyers, because game developers living on a sheep farm in Wales don’t do the “my people will call your people” thing. It took a good while to get anywhere, with everything happening quietly behind the scenes, but eventually there was a breakthrough and TxK turned into Tempest 4000, being released this holiday season. The new version not only gets a facelift to include the classic enemies but also include tracks from Tempest 2000, plus various gameplay tweaks (minus VR support, sadly) to make this the ultimate version of the game Llamasoft is best known for. It’s also highly likely to be the very last version of Tempest Jeff Minter ever creates, but I’m thankful Tempest 4000 is going to show up on a big screen in all its glory despite the odds having been so heavily stacked against it. As you can see, there has been a diverse lineup of video games to be thankful for this past year. Let us know one of your favorite releases of 2017 in the comments below and share how this title may have changed your life in an exciting way!